The International Labour Organization is the United Nations specialized agency devoted to advancing opportunities for women and men to obtain decent and productive work in conditions of freedom, equity, security and human dignity. Since its beginnings, the ILO has sought to promote a better life for all. As the ILO Constitution declares: "Universal and lasting peace can be established only if it is based on social justice". Created by the Treaty of Versailles in 1919, along with the League of Nations, the ILO traversed the Second World War with its principles, methods and goals not only intact but reiterated and reinforced. Through war and peace, depression and economic boom, decolonization and globalization, the ILO has brought together the actors of the world of work to forge solutions to some of the most pressing problems of our times and to offer ideas, options and policy instruments in the pursuit of social justice. 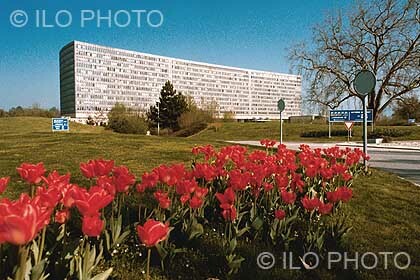 The ILO Chronology presents the history of the ILO from its beginnings to the present day. It briefly explains the most important events in its history, and provides access to the full text of the most important documents associated with that event. To supplement the ILO Chronology, the ILO Library has compiled from its historical collections a History of the ILO - a selective bibliography (pdf 234 KB) which lists the major research publications on the ILO's history.